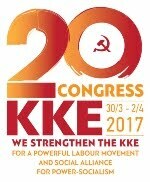 Article of the International Relations Section of the CC of the KKE in relation to the statements of the international Media on the murderous attack on the large demonstration of PAME. The people’s-labour movement has the strength to face the provocateur mechanisms of the bourgeois system. 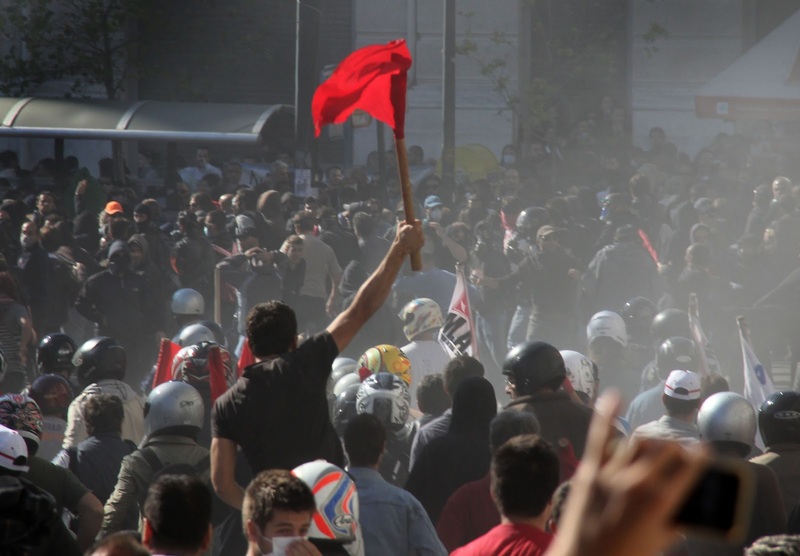 The murderous attack unleashed by anarcho-fascist groups against the enormous rally which was organized by the class-oriented trade unions, rallied in the All-workers’ Militant Front (PAME) in opposition to the new anti-people measures of the government, made the news on a global scale. Nevertheless, there were many attempts by the bourgeois media to distort the facts. Indeed in this effort they use as arguments fabrications and lie drawn from the opportunist forces and the Trotskyist websites. As is well-known on the 19-20 October hundreds of thousands of workers participated in the big strike mobilisation, in which the class-oriented trade unions of PAME played the leading role, together with other forces of the social alliance (MAS,PASEVE,PASY,OGE). 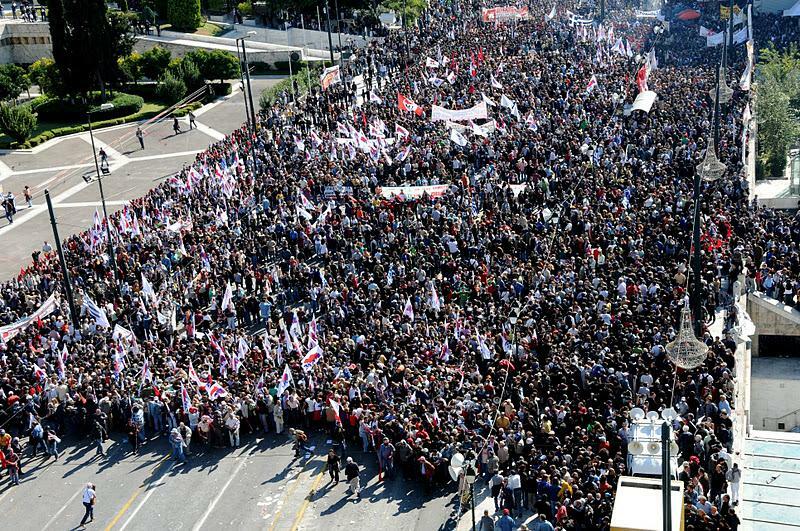 The success of the 1stday of the strike and the massive demonstration in the central square of Athens, outside Parliament, where PAME was predominant, sent a strong message to the government, the EU, capital: No sacrifice for the plutocracy! The workers are not responsible for the capitalist crisis! 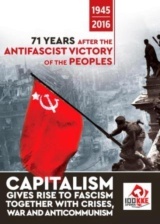 The fight for goals of struggle which are connected to the contemporary needs, in rupture with the capitalist system, the concentration of forces for the people’s power and economy! 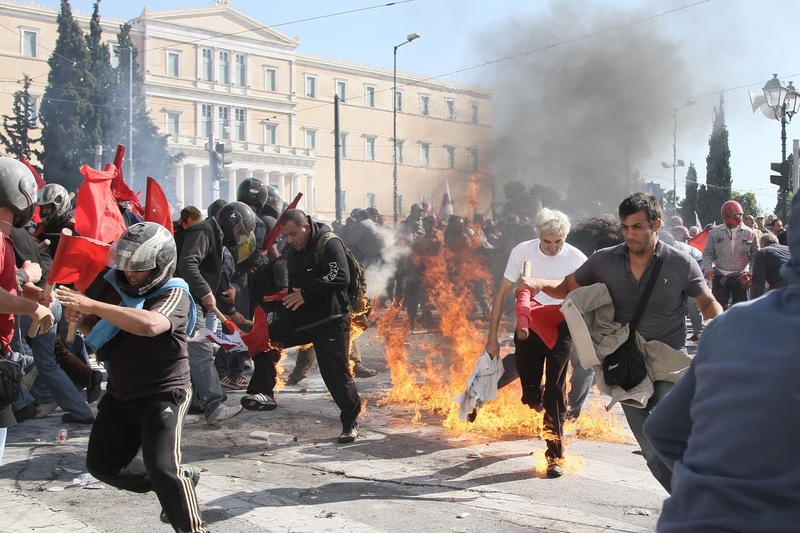 The fake-incidents, the “hide and seek” with the riot police, the damage to shops and buildings, which small provocateur groups organized, could not extinguish the message of the huge popular demonstration of PAME. Certain international media, in an attempt to mislead the workers in their countries spoke of an attack and attempt of the demonstrators to occupy the parliament. Something which of course had no relation to reality. On the 2nd day the forces of capital sought to suppress the strong political message of the workers. 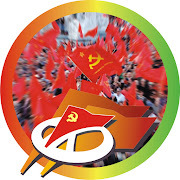 PAME had announced the encirclement of the Parliament for the time when the anti-worker measures were to be discussed and voted on by article with a roll call vote, at the request of the KKE. 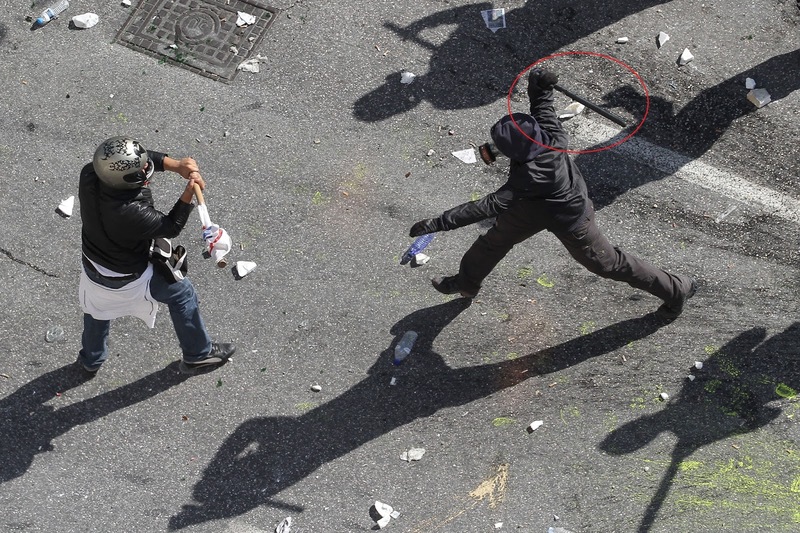 For this reason they mobilised and unleashed in a planned way organized groups with specific instructions and anarcho-fascists who with Molotov cocktails, stones, and other weapons which are used by the police, such as teargas and stun grenades, attempted to disperse the majestic rally of the workers and people in Syntagma and especially the part where PAME was concentrated. 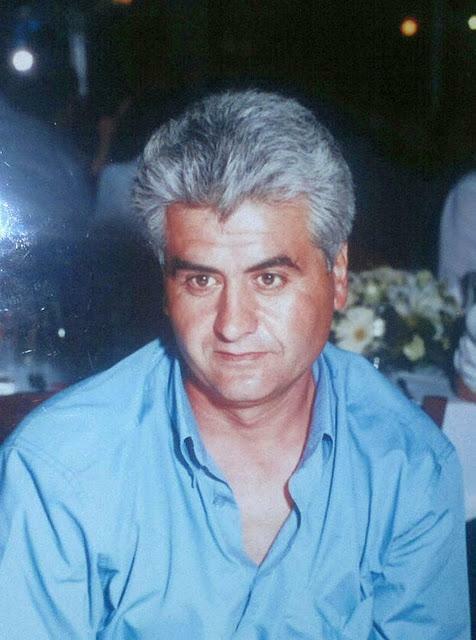 The assault took place on the edges of the demonstration and had as a result the injury of 80 PAME demonstrators and the death of the construction worker-trade unionist of PAME, Dimitris Kotzaridis. Nevertheless, their goal, which was to disperse the rally of PAME, to intimidate and suppress the working class and popular torrent for counterattack which came onto the streets for the 48 hr general strike, failed! The forces of the protection of the rally successfully repelled the murderous assault! (Picture. The hooded ones, the mechanisms set up by the bourgeois system against the labour-popular movement, attempted to disperse this enormous demonstration). (Picture: the head of the demonstration of PAME. Solid protection everywhere). 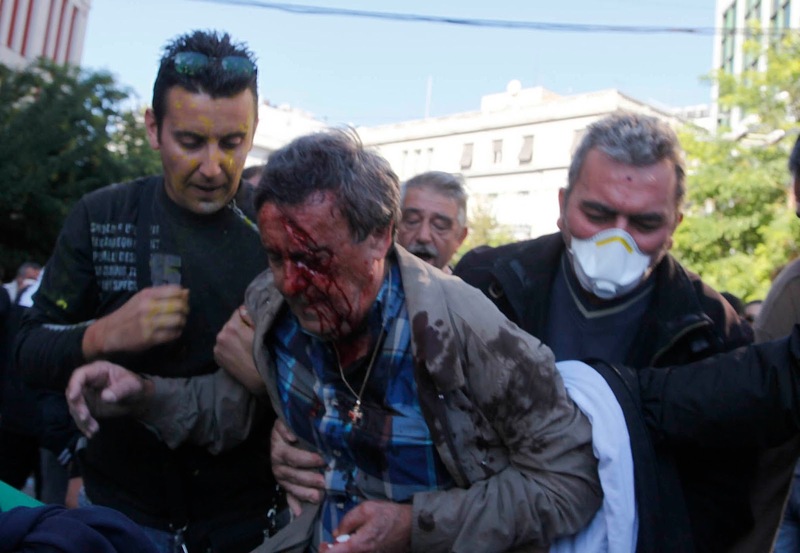 (Picture: The attack of the provocateurs against the protection teams of PAME). 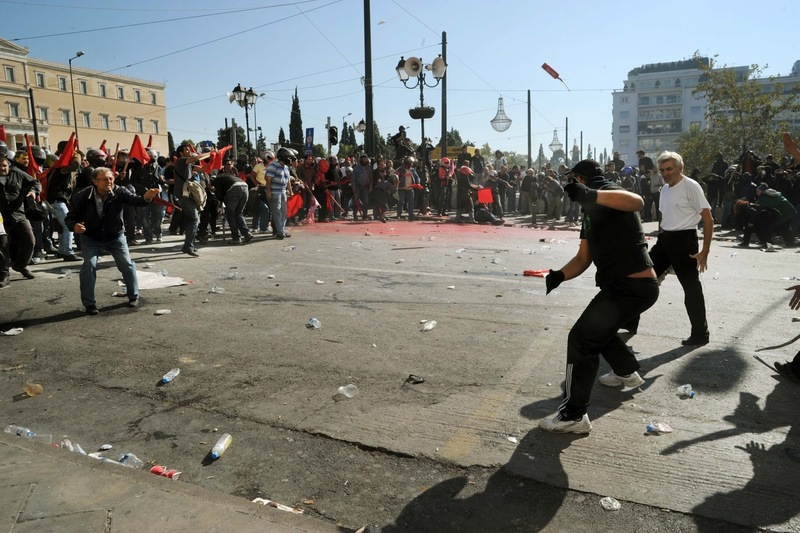 (Picture: The image of PAME’s demonstration after the murderous attack of the provocateurs) . (Picture. 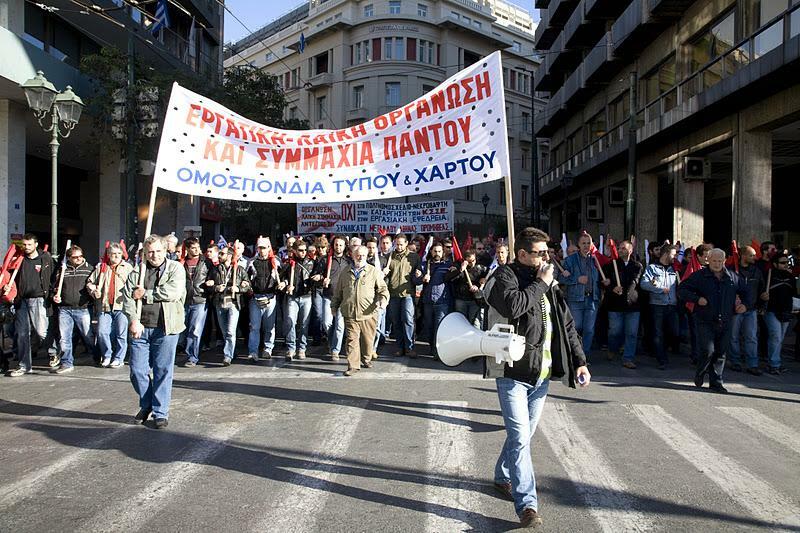 The forces of PAME have withdrawn from Syntagma to Omonoia. A picture the moment the news of the death of the trade unionist of PAME, when a minute’s silence was observed). Certain international bourgeois media sought to present the aforementioned incidents as a conflict between two ideological-political currents inside the people’s movement. 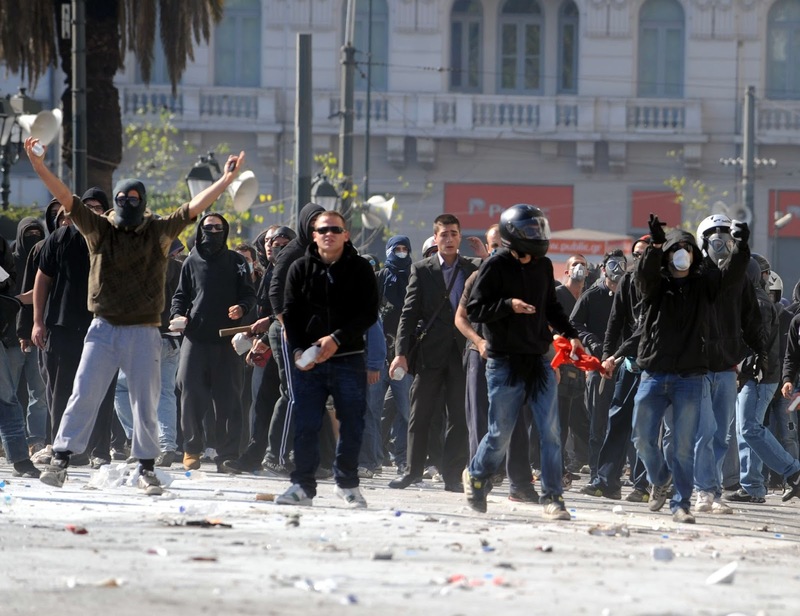 This approach has nothing to do with reality since in Greece it is well-known that these groups which appear under the cover of the black colour, the hood, “anarchism” are organized and staffed by the forces of the bourgeois system and include everything from organized hooligans of football teams, to hired thugs from night clubs, members of neo-Nazi organizations and forces of security services. There is a lot of evidence from the recent past (photographs and videos) that show the relations of these groups with the mechanisms of the system. 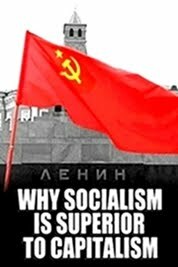 They are murderous groups which serve the bourgeois system and have no relation with the people’s movement. They are unleashed by the system itself in order to organize provocations (like the burning of the bank on 5/5/2010 where three employees died) and provide a pretext to the security forces so as to use the equipment they possess in order to disperse the mass people’s demonstrations. Even more dangerous and dirty is the slander that PAME protected the parliament from the protesters, an allegation reproduced by bourgeois and opportunist mass media - domestic and international ones. 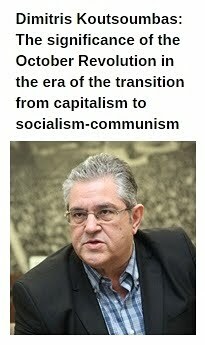 This dirty allegation seeks to portrait PAME as a support of the bourgeois system and the KKE as a “systemic force”, as a party of the bourgeois system. It emanates from those forces which praise the “spontaneous” movement and present it in opposition to the organized class-oriented workers’ movement. 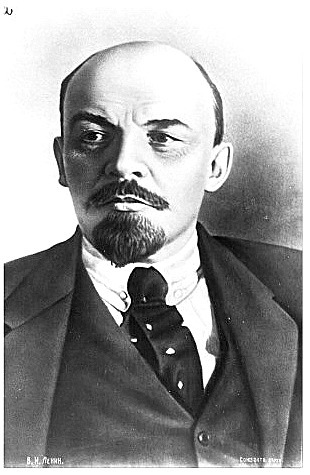 It is they who misleadingly identify the revolution and the people’s uprising with the burning of rubbish bins and the breaking of shop windows and not with the organized political struggle of the workers’ movement which has roots in the factories, in workplaces, in people’s neighbourhoods and will dispute the bourgeois power leading to a conflict with the imperialist organizations of NATO and the EU, to the establishment of people’s power. The KKE and PAME do not need any “credentials” for their militancy which the bourgeois media hand over to the hooded provocateurs, to the anarcho-fascist groups. 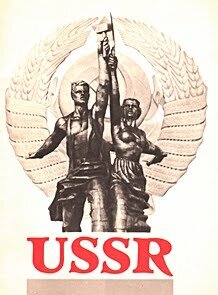 Our history and activity has the appreciation of hundred of thousands of working people who take part in the people’s demonstrations, of millions of workers who appreciate the consistent, unwavering struggle of our party, the firmness of its goals for the overthrow of the capitalist barbarity and the militancy of its members and cadre in the places where they work and live. 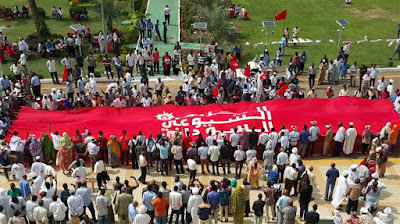 This slander that PAME allegedly “protected the bourgeois parliament from the rebels” has nothing to do with reality and moreover it seeks to conceal the truth, namely the fact that PAME managed, thanks to its strong vigilance, to defend the demonstration and prevent the plans for its dissolution. 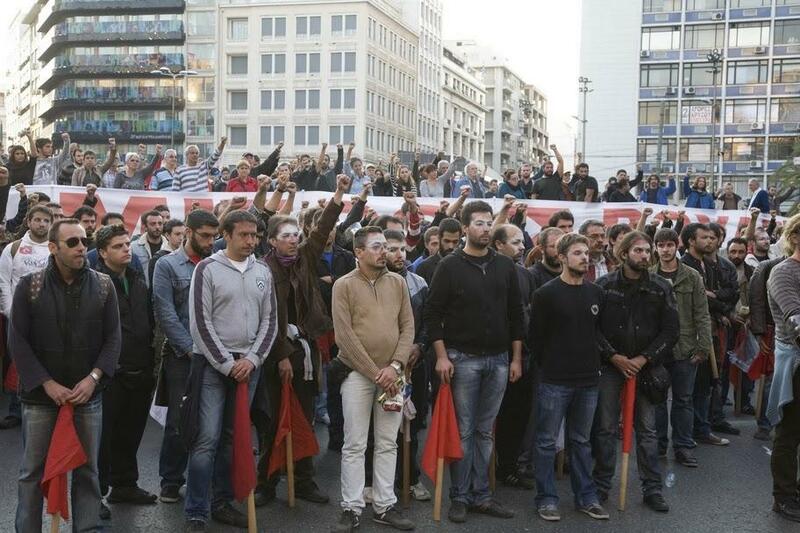 As we say in Greece “lies have short legs”… On Friday morning hundreds of cadre and members of the KKE, numerous forces of the class-oriented movement visited many workplaces informing the working people and preparing new mobilizations. 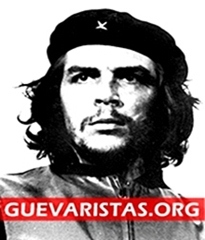 This mass political work among the people which will continue on a daily basis constitutes a decisive response to every kind of anarcho-fascist, to the police informers, to the bourgeois state, to the government and the parties of capital, the opportunist formations. OTHER PHOTOS FROM THE MURDEROUS ATTACK AGAINST PAME. The supposedly "indignant citizens". A mixed crowd of anarchists, fascists and others ready to throw molotov cocktails against the organised demonstration. 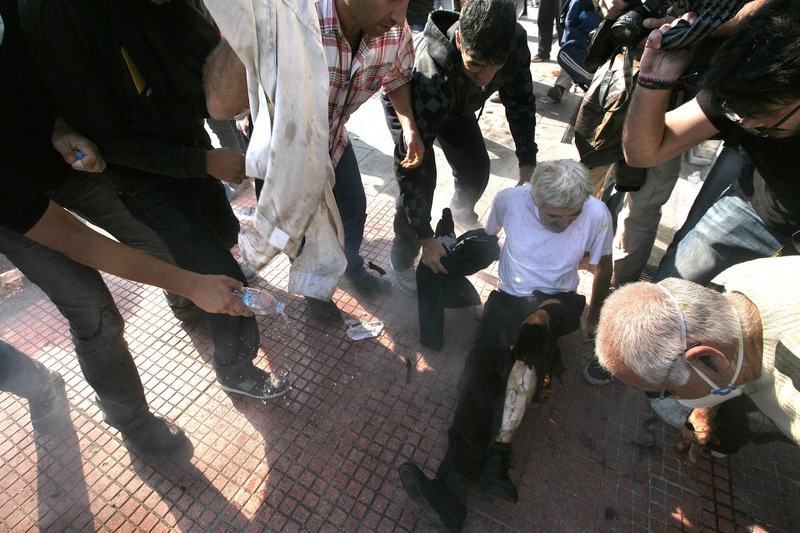 The murderous attack against the PAME demonstration resulted in injures of protesters. 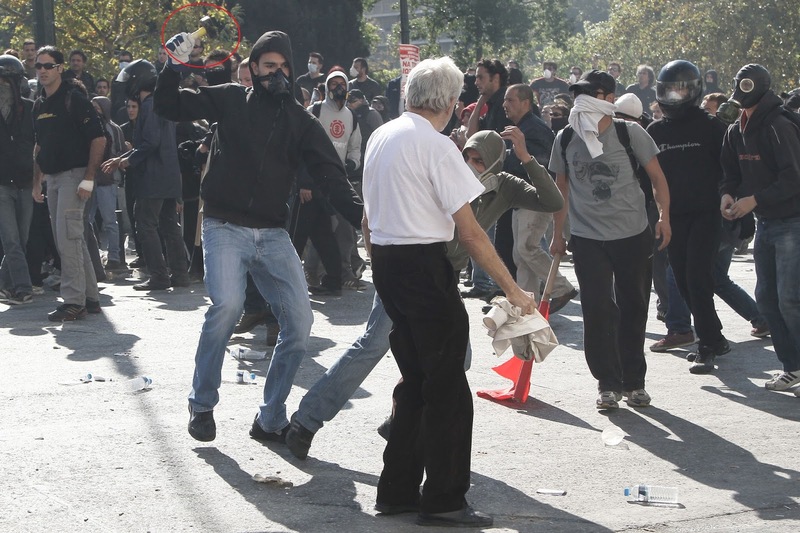 An unknown hooded thug attacks a PAME protestor with a police batton!